Comment: Quote on having glass stone countertops installed. Paninsula island, small countertop and on both sides of the sink along with backsplash. Comment: Need to repair a crack on corian kitchen counter top. Comment: I need a quote to have a new granite counter top installed. I also need to have a new sink installed. Comment: I would like to get an estimate for kitchen counter installation, pre-made cabinets have the materials for install. Want to start within 1-2 weeks. Thinking quartz maybe recommendations. Sierra Pacific Bath & Kichten, Inc.
Ash Marble & Granite - Tops, Inc.
Sacramento Countertop Contractors are rated 4.71 out of 5 based on 287 reviews of 12 pros. 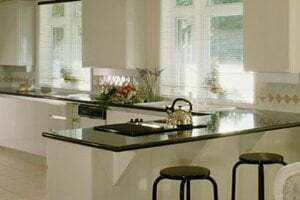 Not Looking for Countertops Contractors in Sacramento, CA?